A new phone network is offering SIM cards that will connect to whatever UK network is offering the strongest signal, out of the major networks. Anywhere SIM is a Mobile Virtual Network Operator (MVNO) and the way it works is by using a clever loophole in roaming rules. 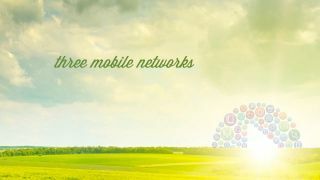 The network is an MVNO under Manx telecom in the Isle of Man, and Manx has a roaming agreement with O2, EE and Vodafone. This means that when you're on the mainland with Manx - and now Anywhere SIM - you're technically roaming. But it means your phone will connect to any of the three networks, rather than just the one. Cost-wise, the network sounds as though it might useful. On Pay-As-You-Go, calls are 10p/minute, and if you go for the "Anywhere Home" package, it drops it down to 5p/minute, along with 5p per text or MB of data. The catch with the latter though? It only works on O2, which sort of defeats the point. You can also use it to roam in up to 30 European countries - and if you go for this package calls cost 12p/minute, with texts at 5p and a MB of data at 10p. So perhaps not the best option for power users - but it might be good for light users of mobile phones, or to have a SIM card stowed away in your backpack next time you go climbing a remote peak, for use in emergencies.